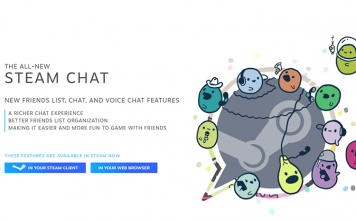 Over the last two years, Discord has established itself as the best gaming chat service in the industry. 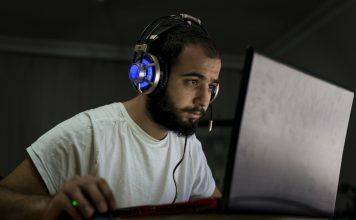 Thanks to its easy to use user interface and feature set, no other game chat service can match its prowess. One of the biggest features of Discord is its ability to integrate bots which cannot only help automate things but also perform actions which are not possible natively. My favorite Discord bots are the music bots which allow users to play music in the background while the whole community is chatting with each other. 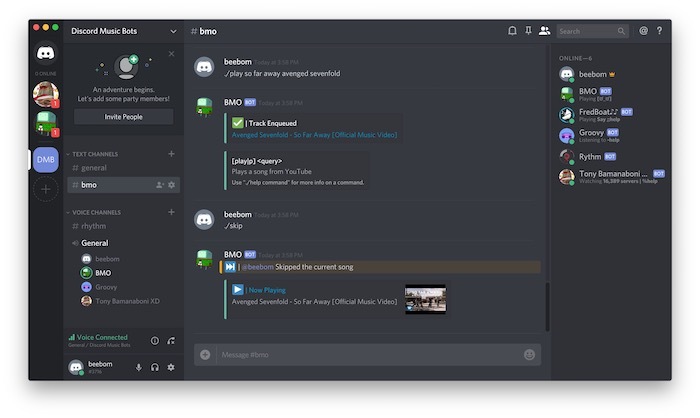 In this article, we are going to take a closer look at all the music bots for Discord and list you that 8 best Discord music bots that you can use. Before we check out the list, I just want to make sure that you guys know how to add bots to your Discord servers. The process is quite simple actually. All you need to do is to click on the provided links and then click on the “Invite” button. Finally, just select the server you want to add the bot to, and then click on the “Authorize” button. 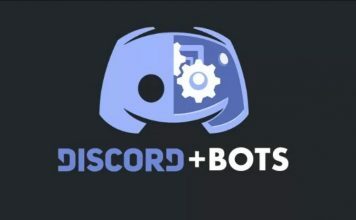 If you want a detailed tutorial with images, you can check out our article on how to add bots to Discord and use it to add Discord music bots to your server. 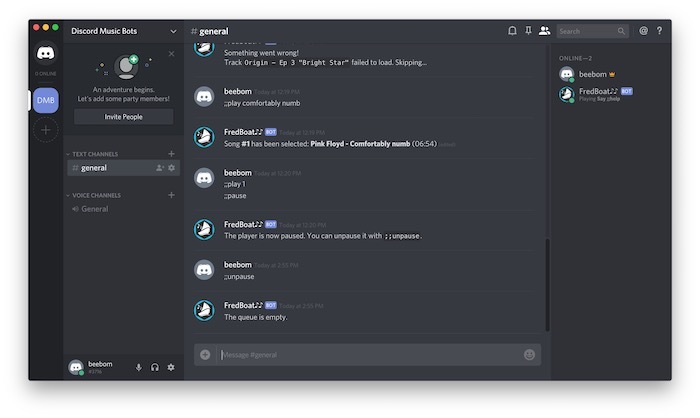 One of my favorite discord music bots is the Fredboat which is a powerful music playing bot that supports a number of different websites. FredBoat can play music from YouTube, Soundcloud, Bandcamp, direct links, Twitch, and more. I also love that Fredboat supports playlists which allows me to set a playlist and let the songs play without having to set a song whenever the last one ends. Another cool feature of Fredboat is its search functionality. Instead of adding links from YouTube or Soundcloud you can simply search for the names of the songs that you want to play. Fredboat will give you five different options and then you can select the music that you want to play. Finally, Fredboat is open-source and secure which makes this quiet trustworthy. 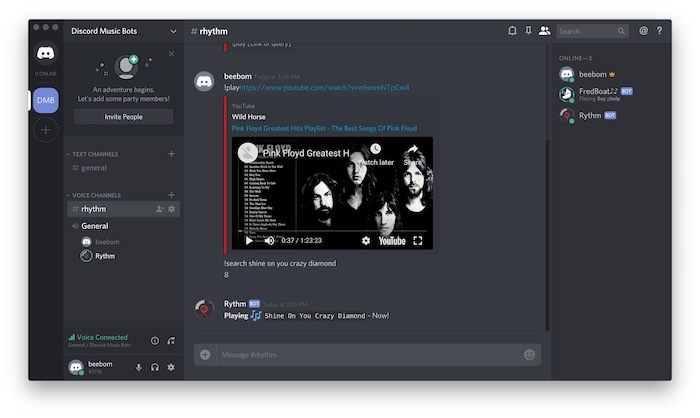 Rhythm music bot for Discord is another one of the best Discord music bots that you can find. Just like Fredboat, Rhythm supports multiple streaming sources including YouTube, Soundcloud, Twitch, and more. One of the unique features of Rhythm is its ability to automatically queue songs from your playlists once your current queue is empty. To play songs, you can either directly input the links of the songs or search for them using the search command. The commands are easy to remember and you won’t have any difficulty in using this bot. Finally, I also love the fact that Rhythm can show you the lyrics of songs that are currently playing or any other song for that matter. 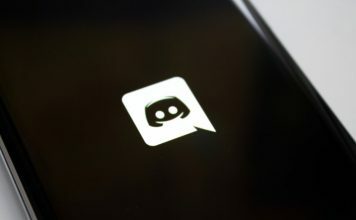 There’s one problem that I discovered while using Rhythm and that’s the fact that it only works in voice channels and not text channels so if you’re looking for the best Discord music bot for a text channel, you can check out Fredboat, or other Discord music bots that I’m mentioning below. 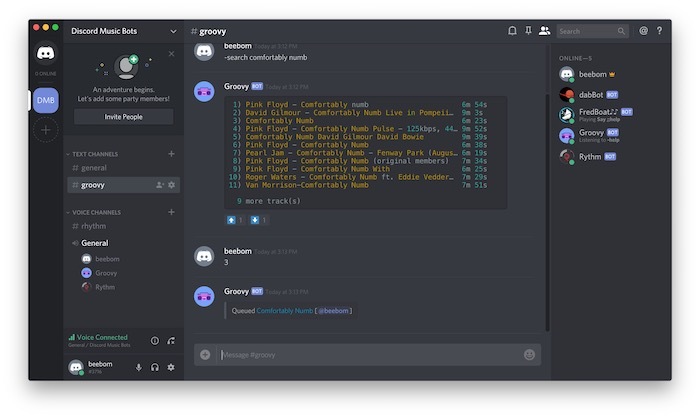 Groovy is an easy to use music bot for Discord which supports YouTube, Spotify, Apple Music, and many more sites. Its Spotify integration is especially impressive as not many Discord music bots can claim this feature. Like the above two bots, Groovy allows you to play songs by either searching for it or just inputting its name or link. The different functionalities that Groovy supports include play and pause, song search, lyrics search, song loops, removing songs from a playlist, shuffle songs in the playlist, and more. I have enjoyed using this music bot very much and recommend to everyone who is looking for a feature rich Discord music bot. 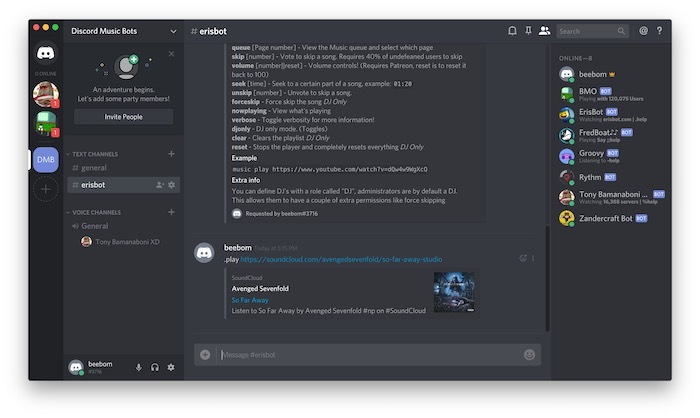 ErisBot is a powerful Discord music bot which is easy to use and brings highly configurable commands. One of the biggest features of ErisBot is that it allows you to create and use your own custom prefix for commands, a feature that most other Discord music bots don’t support. One thing that I noticed while using ErisBot is that sometimes it fails to parse the YouTube links and start playing the video instead of just audio, so that’s something you’ll have to deal with if you’re using ErisBot. Apart from that, I had no problem while using ErisBot for playing music and I recommend this bot to anyone who is looking for a capable music bot. The name of this bot might be hard to pronounce, but the bot itself is pretty easy to use. 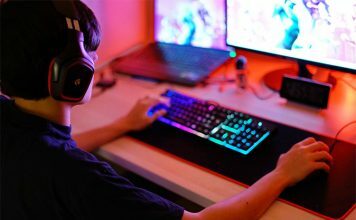 The bot does everything that you’d expect from a Discord music bot which means that it can play/pause music, search for music, queue music, create auto-playlists, and more. It also supports all the usual music sources including YouTube, Soundcloud, Bandcamp, and more. All that’s good, but the feature that differentiates Tony Bamanaboni XD from other Discord music bots on this list is its ability to use audio filters to change the music output. You can use filters such as bass boost, pitch, and speed among many others. If this is a feature that you need, then you should click on the link below to try it out. Another one of my favorite Discord music bots is the 24/7 by Deluxe. The bot not only supports music playback from different sources but it also supports streaming of any radio station around the world. I also love that the bot can even play any live event that is being streamed on YouTube. Other features of this bot are pretty much what you expect. You can play/pause songs, create playlists, add songs to queue, and everything else. Do note that many of its features are only usable by its Patreon contributors, so keep that in mind while inviting this bot. While the Zandercraft bot is known for its productivity, GIFs, and fun features, I have used it for months just to play music. I use Zandercraft to play music because it has the ability to play XHD (extra HD), Hi-Fi music. If you are a music junkie then it’s the perfect tool for your server. Zandercraft supports all the usual features that include playing songs, searching for songs, adding songs to queue, creating playlists of your favorite songs, and more. 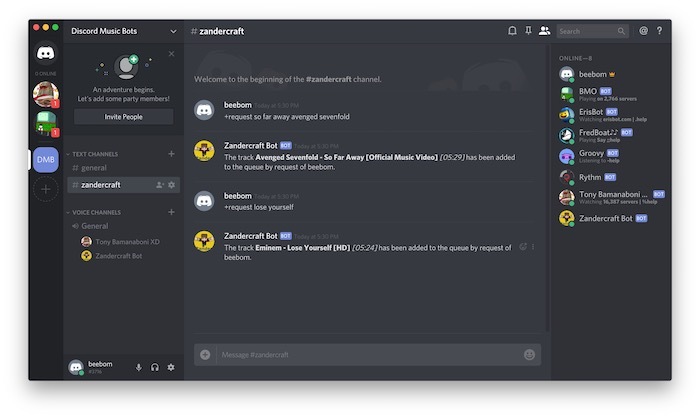 If you love to stream Hi-Fi music, and you’re looking for Discord music bots that can handle that, you should definitely check out Zandercraft. BMO is much more than just a Discord music bot as it also supports games, utilities, image manipulations, and more. However, since we are interested in just the musical functionalities of the bots, we will focus on just that. When it comes to the music features, BMO is quite basic. You can search for songs, play them, and add it to queue. I found that the bot worked pretty fast and played songs in very good quality. That said, it’s commands are a little bit harder and you will have to spend some time learning about this bot. These eight are the best Discord music bots that you can use on your Discord servers. While there are other multi-purpose Discord bots which also give you music controls, none of them work as flawlessly as these eight. Do check the list out and let us know your favorite Discord music bots among them all. Also, if you would like to recommend any other Discord music bots that we didn’t include on this list, drop them in the comments section below. 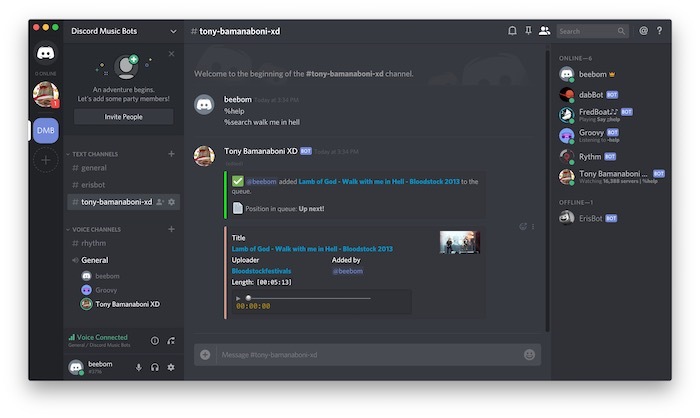 Other than that, if you’re new to Discord here’s how to enable streamer mode on Discord, how to enable push to talk in Discord, enable two factor authentication in Discord, and a handy guide on how to create Discord server. 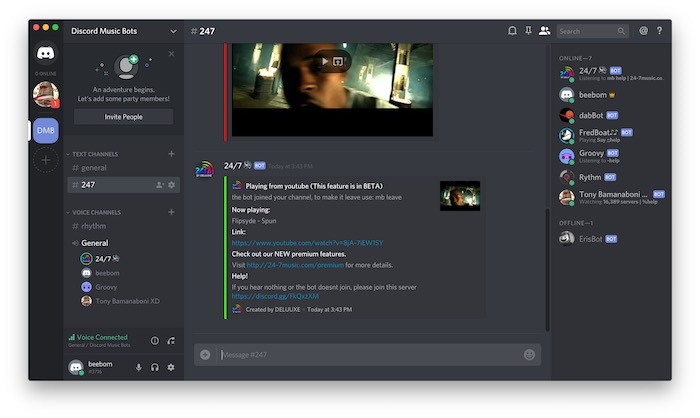 Also, if Discord isn’t your cup of tea, there are a bunch of Discord alternatives that you can check out as well.